ANKARA, Turkey — On Aug. 21, 2017, the U.S. dollar closed at 3.50 liras on the foreign currency markets. Exactly a year later, the dollar was being traded at 6.10 liras. In the same one-year period, the euro-to-lira rate went up from 4.12 to 7.03. The Turkish lira’s value has fallen by almost one-third this month alone. Turkey’s defense and procurement planners now worry that the plunge of the national currency could expose foreign currency-related weapons programs to the risk of major delays or suspension. 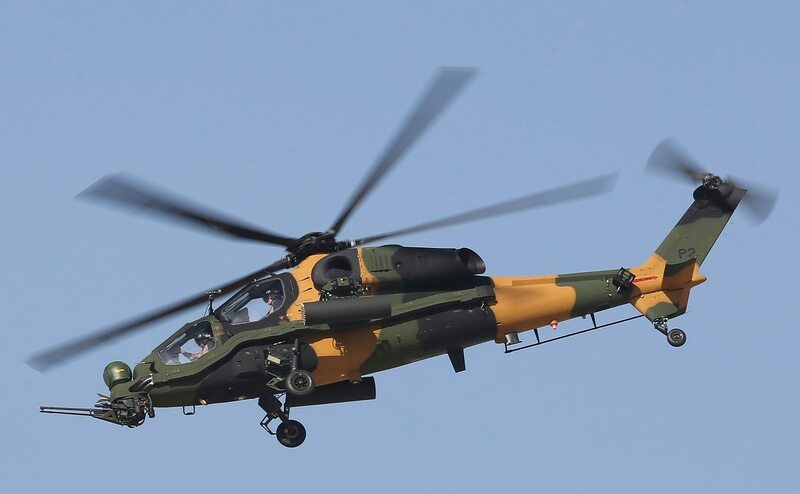 Turkey and Pakistan signed a deal in July for 30 T129 ATAK helicopter gunships. That may not happen now. Turkey’s current account deficit was $57.4 billion in June, a record high 5.9 percent of the country’s gross domestic product. Annual interest rates on 10-year government bonds hover around 21 percent, the highest in emerging market economies. Debt piled up elsewhere in the economy, too; the government, banks, factories and homeowners all binged on cheap credit from abroad — to the tune of $460 billion, more than half of Turkey’s GDP. For instance, Turkey has been negotiating the acquisition of Russian-made S-400 air and anti-missile defense systems since early last year. If finalized and paid in full a year earlier, the $2.5 billion deal would have cost Turkey’s treasury 8.75 billion liras. Today the same contract would cost Turkey 15.25 billion liras, about a 75 percent increase in terms of Turkish currency. Similarly, Turkey would now face a bill worth 97.6 billion liras, at the current exchange rate, for the planned purchase of 100 F-35 aircraft instead of 56 billion liras. Turkey must select a foreign-made engine to power the TF-X, the first Turkish indigenous fighter jet in the making. The Ankara government also will select a foreign-made engine and transmission system for the Altay, the Turkish indigenous main battle tank in the making. And there are several critical foreign parts and systems used on the T129, the Turkish helicopter gunship produced under license from the Italian-British AgustaWestland. Turkey also regularly acquires imported smart ammunition used in its fight against Kurdish insurgents inside Turkey and in northern Iraq and Syria. Turkish President Recep Tayyip Erdogan blames the currency chaos on an “underhanded plot” that aims to bring Turkey to heel. Despite being NATO allies, Turkey and the United States have clashed over a number of issues in recent years, including divergences over Syria policy, Turkey’s planned deployment of the S-400 system, U.S. sanctions on Turkey’s arms purchases, including the F-35 program, looming U.S. penalties on a Turkish state bank, and differences over U.S. sanctions on Iran. Tensions most recently boiled over when Turkey refused to free a U.S. evangelical preacher despite U.S. President Donald Trump’s demands he be released immediately. In response, Trump doubled U.S. tariffs on Turkish steel and aluminium imports, and U.S. Treasury Secretary Steven Mnuchin warned of more punitive measures against Turkey. Erdogan replied with a call on Turks to boycott U.S. electronics products. Turkey’s defense procurement office, the Defence Industry Executive of the Presidency (SSB in its Turkish acronym), announced new measures to counter the effects of currency fluctuations on its acquisitions. It announced that it would convert foreign currency guarantees in past and ongoing contracts into Turkish liras and sign up new contract guarantees (like letters of credit from banks) in lira terms instead of U.S. dollar terms. SSB, previously the Undersecretariat for Defence Industries, reports directly to Erdogan. “That may put foreign and local contractors at currency risk. Contractors would be reluctant to accept bank guarantees in lira terms or they would reflect that risk into their final prices,” a foreign company executive said, speaking on condition of anonymity. It’s also possible that banks may grow increasingly reluctant to offer loans and bank guarantees in financing defense programs. A local aerospace company official said the currency crisis would not only distort off-the-shelf purchases and foreign suppliers’ business in Turkey, but also several local producers. “Turkish companies use a rich list of imported equipment, even in indigenous Turkish systems they produce. They now face a tremendous increase in their Turkish lira-based costings. It is inevitable that even locally developed systems will become a lot more expensive for the Turkish end user,” he said.